Modern Limousine Service is a Los Angeles-based luxury transportation company that focuses on airport transportation. 60% of their service revolves around airport transport, and 20% revolves around business travel. Featuring professional private chauffeurs, Modern Limousine prides itself on the convenience and comfort that they offer their clients. Their staff of experienced drivers know the best and fastest routes to LAX, as well as every other area of the city. In an age of ride-hailing apps, Modern Limousine stands out with their privacy, safety, luxury, cleanliness, and timeless professionalism. When Alecan began working with Modern Limousine, their website was on the amateur side and they had a weak web presence. They had Google Search paid ads but were seeing no ROI, as the cost per conversion was too high. Their website wasn’t being ranked in the search engines, and although they were getting some traffic to their website from referring sites, this was not converting into leads, and their overall conversion was very low. The leads that they were getting were very disorganized, and not the type of customers that they were hoping to gain. On top of this, their company was struggling with both the rising popularity of ride-hailing apps and competition within the luxury transportation industry. 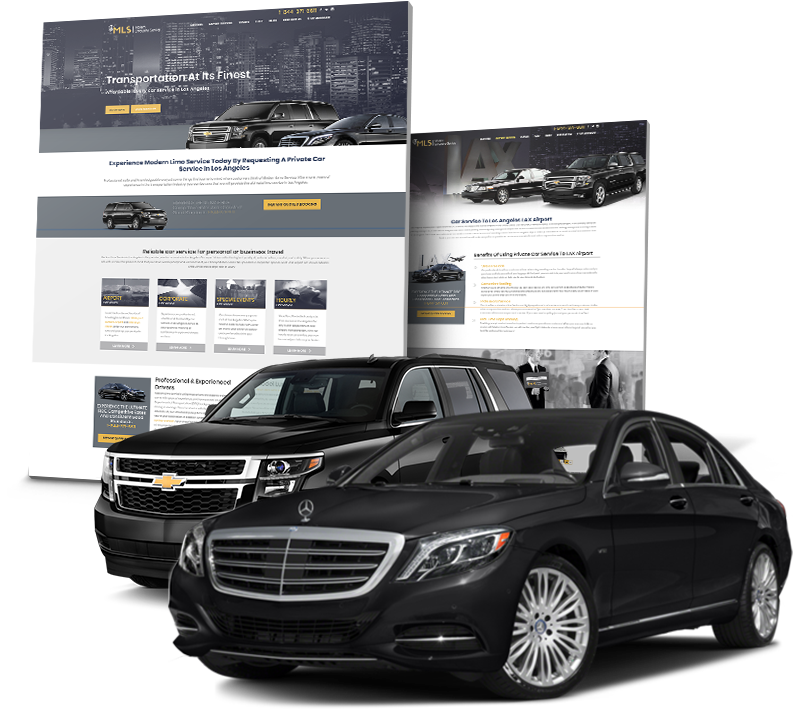 Modern Limousine was in need of an optimized website, a stronger web presence, qualified traffic, and more conversions. Their business also needed to stand out as a professional luxury service that caters to travelers who are looking for high-quality transportation. 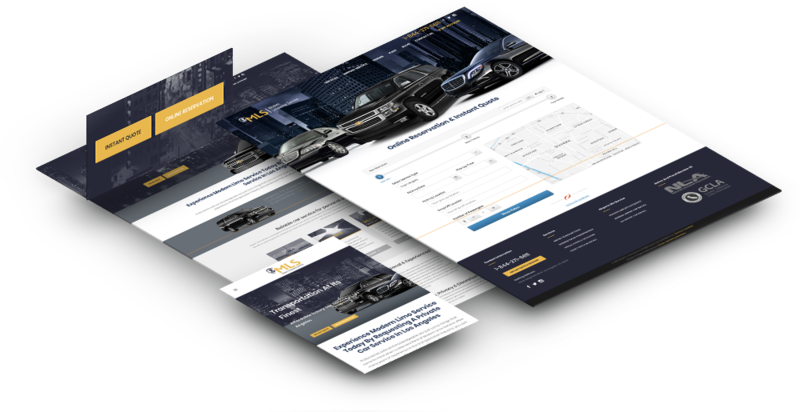 Our goal for Modern Limousine was to re-vamp their brand identity; to populate the business online through a solid content marketing strategy, and to redesign their website to be more functional and visually appealing, with a strong focus on SEO structure and conversion optimization. They needed to improve cost per conversion and gain more bookings from relevant customers, and the business also needed improvements with automation. Instead of irrelevant individuals calling the business by phone all the time, Modern Limo wanted qualified website visitors to make reservations and bookings online. In addition, their previous Google AdWords campaigns were disorganized and being run incorrectly. There was a big need for us to improve and optimize these campaigns and lower the cost per click and cost per conversion so that the business could see a higher ROI. Modern Limousine required a website that appealed to travelers who were looking for quality transportation. They needed a design that was highly functional, with great UX, and a sleek look to reflect the company’s professionalism. It was also important to redesign their website for mobile usability, since more than 70% of individuals search on their phones. 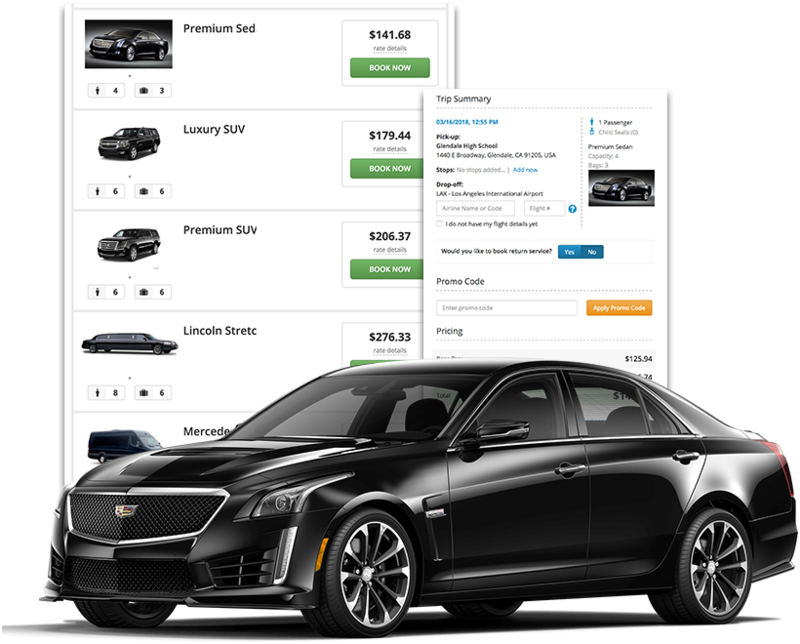 We implemented a third party booking engine so that customers could instantly get quotes or reservations straight from Modern Limousine’s website. Visitors are now able to get an immediate quote based on how many passengers they have, what type of vehicle they’re looking for, and their destination. 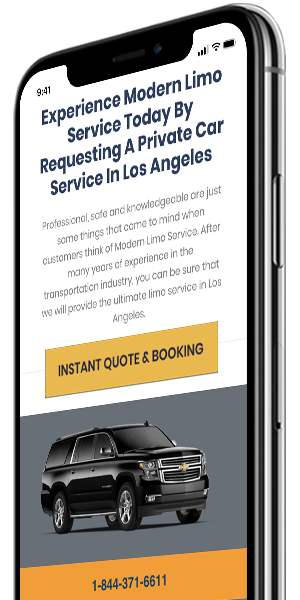 By incorporating a way for customers to receive an instant quote right at their fingertips, we were able to elevate Modern Limousine’s website to a whole new level. 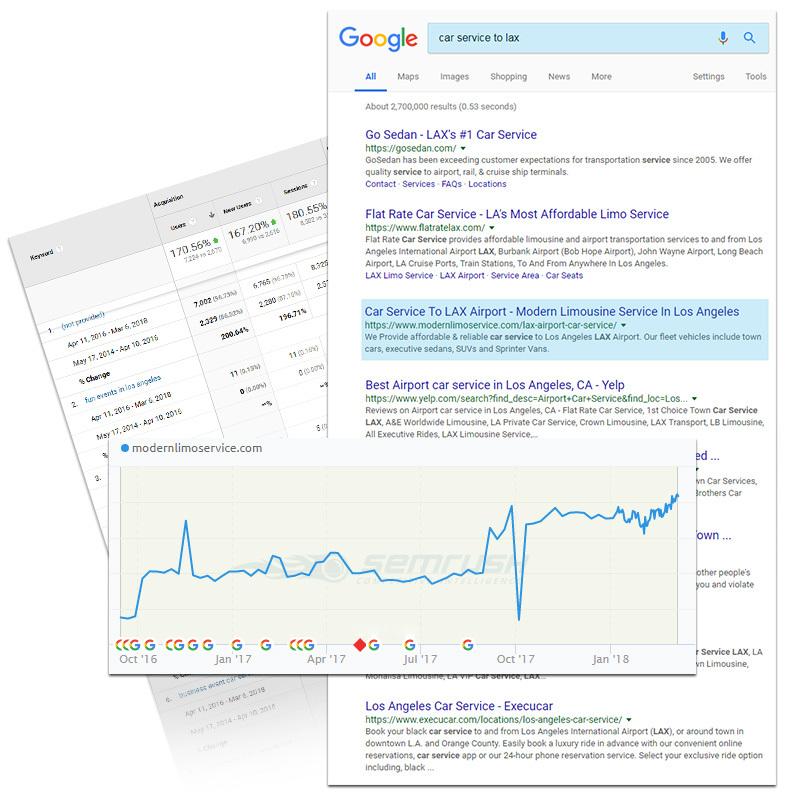 Although Google was making constant changes to their ranking algorithm system during the time we began working with Modern Limousine, we were able to increase the company’s organic traffic consistently month after month through various challenges. During our SEO performance, we saw that there was a market for transportation to season-based local destinations such as Disneyland and Coachella. In response to this, we designed a successful strategic approach to tap into these markets. Before working with Alecan, Modern Limousine had been managing their own Google paid ads in-house for years. Because of this, their AdWords campaign was completely scattered and was not being managed to its full potential. 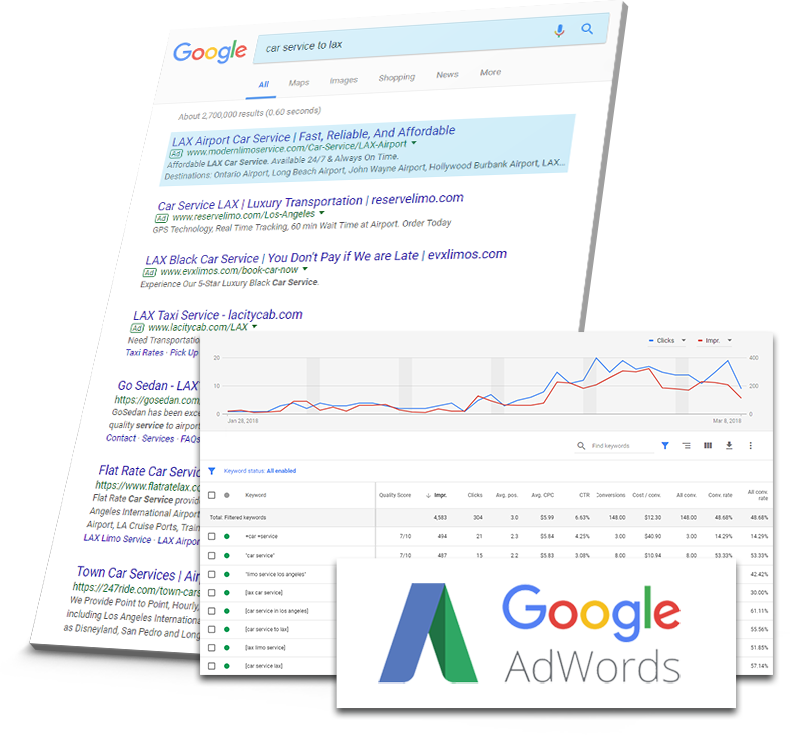 When we took over, we optimized and maximized their AdWords campaign for better clicks and conversions, lowering the cost per click and cost per conversion. We structured the campaigns properly and defined the most converting ads, making the correct adjustments to improve their quality score and lower their cost per conversion and cost per click, which resulted in more impressions.